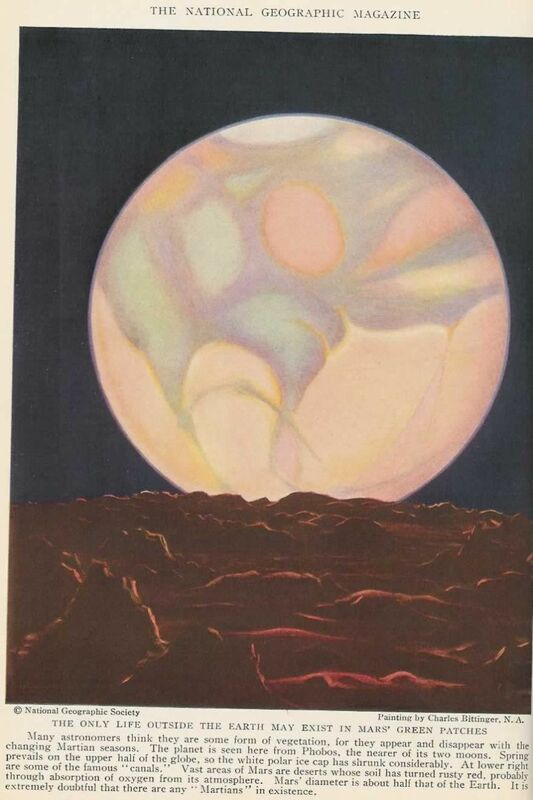 Even before humans ventured out into the unknown realms of outer space, Charles Bittinger wanted to depict what it looks like, based on how he imagined them from descriptions and current scientific knowledge of planets and other celestial objects. In 1939, he put those visions onto canvas and some are oddly accurate. 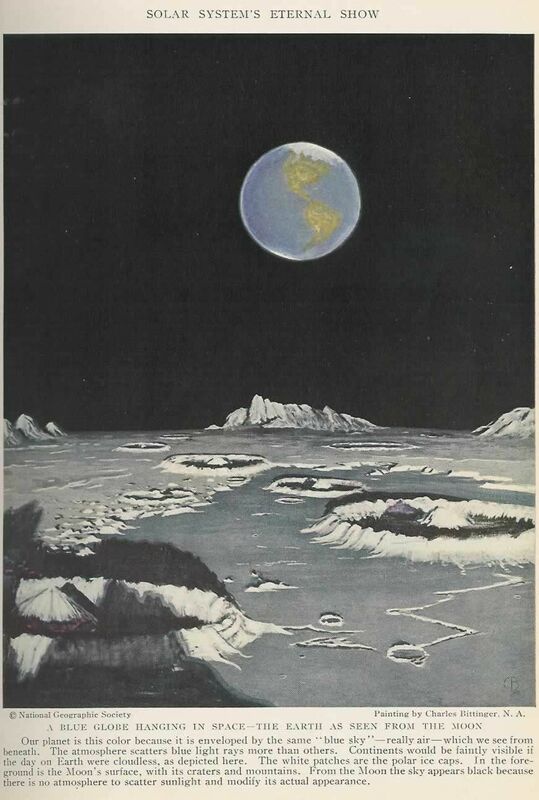 In July 1939, National Geographic published a story called “News of the Universe,” for which artist Charles Bittinger was commissioned to create a series of paintings that would help readers visualize outer space. At the time, telescopes were advanced enough to reveal details of the moon, but it would be another 30 years before a human would set foot there. Not even a satellite had been launched at the time the piece was published. In another painting, Bittinger depicts the way light scatters into a spectrum of colors. 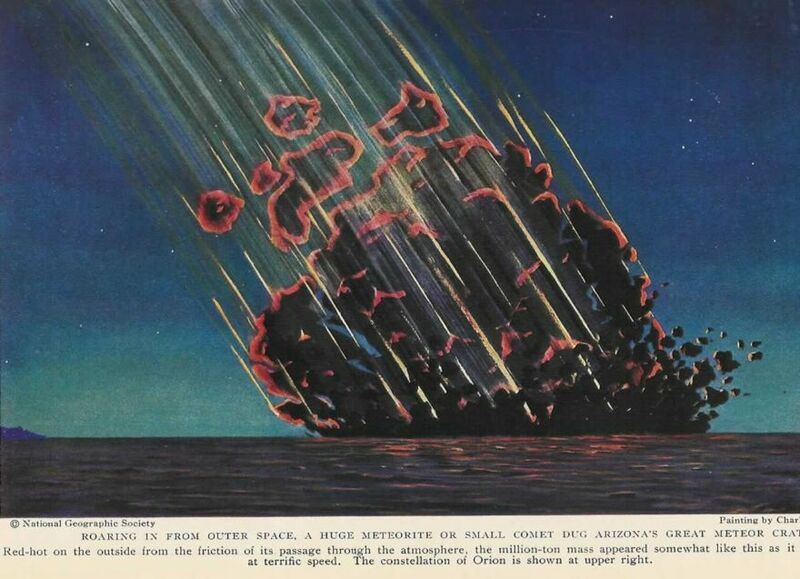 It may seem out of place in the series, but “Bittinger felt it important to illustrate that, to make sure that readers understood the importance of the principle and how it related to the other paintings,” says National Geographic senior graphics editor Jason Treat.